With four New Jersey State Golf Association Open Championship titles and five New Jersey PGA Section Championship crowns on his ledger, Milton “Babe” Lichardus was truly one of the all-time great Garden State club professionals. Over the course of his professional career, he represented excellence and longevity – having competed for over 50 years on both the local and national scenes. Lichardus compiled an epic playing record over more than half a century, during which time he was named Player of the Decade for both the 1950s and 1960s by the New Jersey Section of the PGA. “The Babe”, as he was known, was born in 1926 in West Caldwell, New Jersey and grew up in Hillside, near Galloping Hill Golf Course where he learned the game as a youngster. While his amateur career was uneventful when compared to his professional achievements, his earliest accomplishment was besting the eventual 1946 NJSGA Amateur Champion (and national left-handed champion) Alex Antonio in an early round match during the 1942 Union County Tournament. His introduction to the game also included caddieing at nearby Suburban Golf Club in Union as a teenager in the early 1940s, prior to enlisting in the U.S. Navy after high school. After completing his tour of duty in the Navy in 1946, Lichardus turned professional. He worked as an assistant at Galloping Hill, Braidburn, Baltusrol, and Shackamaxon – during which time his rise from a non-descript public golfer to state champion was fast and profound. 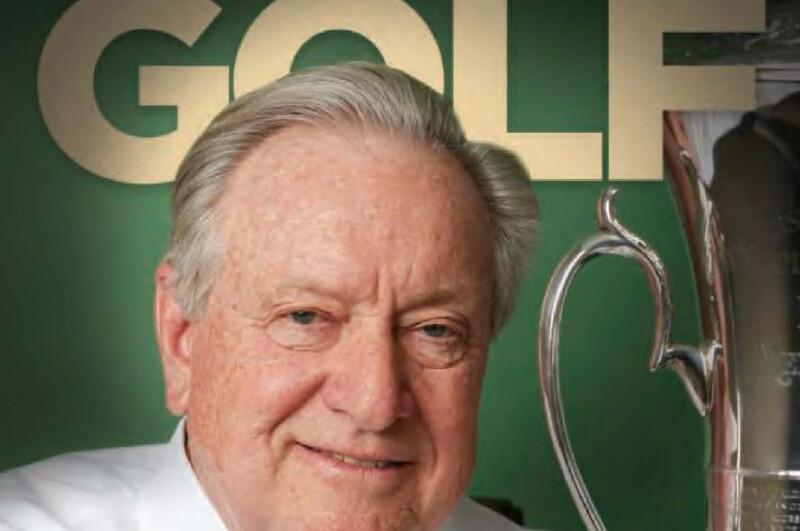 As an assistant at Baltusrol in 1952, he won the NJSGA Open (at Plainfield Country Club), and the following year, Lichardus won his first of five New Jersey PGA Section Championships. Over the course of the next six years, “The Babe” would struggle on the local level to repeat his stellar accomplishments of 1952 and 1953 while he attempted to balance his career as a club professional with an attempt to establish a regular presence on the Pro Tour. At the end of the 1957 season, Lichardus conceded that he “just made enough money each time in a stretch of eight tournaments to go on to the next one”, and decided to re-focus his career path. In 1958, Lichardus was named the Head Professional at Grossinger’s Golf Club in New York, where he worked for five seasons. Later, he returned to New Jersey in 1963 to work as an assistant at Spring Brook, followed by stints at Baltusrol (1964) and Hollywood (1965). In his first year back on the New Jersey circuit, he finished as runner-up in the 1963 NJSGA Open at Braidburn. four NJSGA Open titles at Spring Brook – and later that season, won his second NJPGA Section Championship. He went on to repeat as NJPGA Section Champion in 1966, and by this time, “The Babe” was clearly established as one of New Jersey’s elite playing club professionals. In 1969, he returned to Shackamaxon as its Head Professional – where he succeeded Eddie Famula – and continued his successful run that summer in capturing his third NJSGA Open title at Rockaway River. Lichardus continued to be a perennial contender throughout the 1970s. At age 42, he won his fourth NJSGA Open title at Montclair Golf Club in 1971. He confidently shot 72 in an 18-hole playoff, comfortably winning by six strokes over Bob Benning of Plainfield. That same year, he lost the Dodge Open in a playoff to young Billy Ziobro, although both players won a new car. Lichardus had previously won two Dodge Opens – the only golfer to do so – although he preferred to drive a gold-toned Cadillac. Also in 1971, Lichardus played well in the PGA National Club Pro Championship, finishing fourth to his friend, champion Sam Snead. The 1971 season proved Lichardus had staying power – he had not competed in the previous State Open (1970) because of an accident in which he broke a knee bone during a friendly basketball workout at Shackamaxon. Yet he kept winning, evidenced by his NJPGA Section triumphs in 1977 and ’78, the last at age 48. It was not only Lichardus’ game that was legendary – his reputation as one of the most colorful players in New Jersey golf lore was quite possibly his most definable characteristic. “He was a happy-go-lucky guy. He enjoyed life and always used to kid around,” said longtime friend Eddie Famula. "He’d be winning the Dodge Open, and ask guys to tell him a joke. He needled everybody. He was one guy who liked to have fun,” Famula continued. Lichardus’ magnetic personality endeared him to some of the best among the professional tour ranks. During his foray into the Pro Tour during the 1950s, he befriended Sam Snead, Bob Rosburg (whom he had roomed with on the Tour), Doug Sanders, Jim Turnesa and Gardner Dickinson. The legendary Tony Lema, who died in a plane crash in 1966 (just two years after winning the British Open) was also close with Lichardus. The Babe’s relationship with Sam Snead was also famous. “Their relationship went back to the 1950s, and they re-connected when they played in the PGA’s winter series at Disney World in Florida in the mid-1970s. They were buddies – always kidding each other. Babe is the only guy that beat Sam Snead out of a beer and a cart fee,” Famula recalled. Over his storied career, Lichardus played in five PGA Championships and three US Opens, and played competitively through the 1980s, 1990s and early 2000s - with his final NJPGA Section victory in the 1995 NJPGA Senior Championship at Panther Valley. He continued his club professional career during that period with stints at East Orange, Anchor Golf Center, and Plainfield West. In 2002, ‘The Babe’ competed in his final NJSGA Open Championship at Shackamaxon, where he holds the course record (64). He continued teaching in the area at Plainfield West and played frequently until he passed away in 2007 at the age of 81. The 25 years between his first and last NJPGA Section Championship titles (1953 and 1978) is a record, as was the 19 year span between his first and last NJSGA Open Championship victories (1952 and 1971). To this day, “The Babe’s” friends continue to speak of talent, charisma, and longevity which exemplified his career and led to his induction into the NJSGA Hall of Fame.